Enhance your leadership capacity with the Bachelor of Science in Leadership Global Classroom program. The Bachelor of Science in Leadership draws upon Northeastern University’s renowned practice-oriented approach to education, integrating theory and practice. Globalization has transformed the business landscape and what is expected of today’s professionals. The economic rise of countries like China, India, and Brazil points to a future that will demand a unique set of skills in order to compete in a global marketplace and require broad perspectives, international insight, and the ability to lead strategically, and effectively. All applicants to the Bachelor of Science in Leadership– Global Classroom Degree Completion Program will be considered for a Global Excellence Scholarship, providing assistance of up to $10,000 over the course of the program. Applicants will be evaluated for the scholarship during the application review process. The awarding of the Global Excellence Scholarship is based on the overall strength of a student’s application. Applicants who are selected for the scholarship will be notified at the time of acceptance. 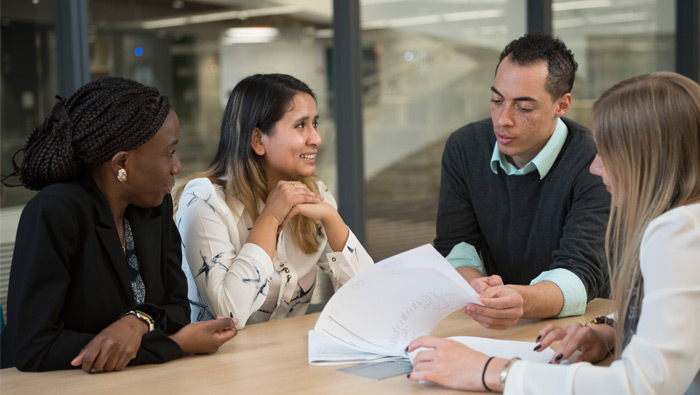 The Bachelor of Science in Leadership is also available for students who would like to complete this degree at their own pace, visit our Bachelor of Science in Leadership web page.